When Women Work Together the Birds Sing! Salt Lake City, UT – December 8, 2010 – Christine Heathman, LMT, ME, Industry Innovator, Educator, and CEO and Founder of GlyMed Plus®, today announced Mark D. Whittaker, CPA, QPFC, of Hawkins Cloward & Simister will join her to discuss 2010 tax changes on the “What Gets Under Your Skin?” talk radio show this week. The show which covers topics from skin care to consumer issues, broadcasts Live at Noon Mountain Time on Utah radio station KSTAR 1400 AM and replays daily at Noon on select Internet syndication sites available at www.christineheathman.com. According to Christine Heathman, Mark D. Whittaker, CPA, QPFC, is a credentialed personal and business financial planning professional who proactively helps businesses and individuals navigate the murky waters of tax planning, preparation and negotiation. Christine Heathman will share winter skin care solutions and the latest professional offerings at local spas this holiday season. Listeners are invited to visit Christine’s website, www.glymedplus.com to find a spa that offers exclusive GlyMed Plus holiday facial treatments. Christine Heathman’s mission is to share the true science behind what ages your skin and provide solutions to listeners by putting them in control of their own skin age management with the help of skin care professionals. Christine’s talk radio show, “What Gets Under Your Skin?” broadcasts Live at Noon Mountain Time on Utah radio station KSTAR 1400 AM and replays daily at Noon and 1 p.m. on select Internet syndication sites available by clicking the radio tab at www.christineheathman.com. Mark D. Whittaker, CPA, QPFC, is a credentialed personal and business financial planning professional with the firm of Hawkins Cloward & Simister, Orem, Utah. As a certified public accountant (CPA) and Qualified Pension Financial Consultant (QPFC), Mr. Whittaker proactively helps businesses and individuals with tax planning, preparation and negotiation. To provide the best service to clients, he holds licenses in securities, insurance and investment products, as well as a Retirement Planning Specialist Certificate from the Wharton School of Business, University of Pennsylvania. For more information or to schedule a personal appearance or consultation with Mr. Whittaker, please contact Allene Anderson at 801.224.1900 or contact@mycpa.com. Christine Heathman is the skin age management expert who has helped shaped American Skin Care to what it is known as today. Christine hosts “What Gets Under Your Skin?” Syndicated talk radio show and has appeared as a guest expert on The Doctors, at the 2010 Emmy Awards Luxury Celebrity Lounge and on The Balancing Act on the Lifetime TV Channel. Christine Heathman is the innovator behind GlyMed Plus Advanced Aesthetics and its skin care products, which are used in spas & medical clinics all over the world. To find a professional spa near you please visit www.glymedplus.com. 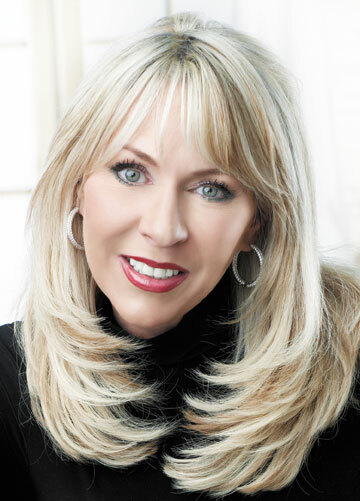 To find out more about Christine Heathman and her skin science message, please visit www.christineheathman.com. Spanish Fork, UT – November 2010 – Christine Heathman, LMT, ME, Industry Innovator, Educator, and CEO and Founder of GlyMed Plus® and Pugsley’s Choice natural pet care products, today announced that Dr. Jay Ipsen of the Payson Family Pet Hospital will join her to talk about holiday pet care on the “What Gets Under Your Skin?” talk radio show this week. The show broadcasts Live at Noon Mountain Time on Utah radio station KSTAR 1400 AM and replays daily at Noon on select Internet syndication sites through November 24th at www.christineheathman.com. According to Christine Heathman, with five French Bull Dogs of her own, she knows that holidays can be a stressful time for family pets. Keeping pets warm during the winter months and safe from unhealthy foods and uncomfortable situations will be the focus of her show this week. Listeners to this week’s show are offered a free copy of “Pugsley’s Book for Healthy, Happy Dogs” by calling 1-800-676-9667. Pugsley’s Choice, a trademark product of VIP Equine, offers natural skin care products for pets that are uniquely formulated to promote a healthy skin and coat. Aromatically scented, these botanically based products are safe alternatives for the lasting health of both pet and owner. The philosophy behind Pugsley’s Choice is that if you cannot put the product on yourself, you should not be using it on your pet. You can purchase Pugsley’s Choice products at the Payson Family Pet Hospital. For more information, please visit www.yourvip.com and http://www.pugsleys-choice.com. Payson Family Pet Hospital is a full service small animal veterinary hospital that has been established in Payson, Utah since 1997. Their services and facilities are designed to provide the best quality health care to variety of small animal companions for our clients. Dr. Jay Ipsen is the owner of Payson Family Pet Hospital. He established this clinic in 1997. He graduated from Washington State University in 1992. For further information please visit www.paysonfamilypethospital.com. Christine Heathman is the skin age management expert who has helped shaped American Skin Care to what it is known as today. Christine hosts “What Gets Under Your Skin?” Syndicated talk radio show and has appeared as a guest expert on The Doctors, at the 2010 Emmy Awards Luxury Celebrity Lounge and on The Balancing Act on the Lifetime TV Channel. Christine Heathman is the innovator behind GlyMed Plus Advanced Aesthetics and its skin care products, which are used in spas & medical clinics all over the world. To find a professional spa near you, please visit www.glymedplus.com. To find out more about Christine Heathman and her skin science message, please visit www.christineheathman.com. Listeners are offered a free copy of “Pugsley’s Book for Healthy, Happy Dogs” by calling 1-800-676-9667. GlyMed Plus® and LaVida™ Massage Join Forces in Offering Unmatched Professional Skin Care Treatments and Products to Consumers. Spanish Fork, UT – November 2011 – GlyMed Plus/Advanced Aesthetics, a professional only skin care company, today announced their partnership with LaVida Massage, a Commerce, Michigan – based massage and wellness franchise that provides premium massage therapy and esthetic services. GlyMed Plus is a recognized leader in the development of professional skin care products. Their results-oriented products have made them the preferred skin care provider of choice by LaVida Massage. The company produces a variety of products ranging from acne and pigmentation treatments, to sun-damage and anti-aging regimens. GlyMed Plus Advanced Aesthetics offers a complete range of professional only products, combining technologically advanced ingredients with certified organic botanicals to produce amazing results. All formulas were developed by Master Medical Aesthetician Christine Heathman, CME, LMT and CEO, who has professionally treated skin with unparalleled results for over 25 years. For more information, visit www.glymedplus.com. Founded in 2007, LaVida Massage is a health and wellness massage center with 30 locations nationwide, providing massage, facial and cosmetic services that revitalize and reinvigorate clients’ emotional and physical health. As more Americans find value in personal care and therapeutic relief from negative outside influences, LaVida introduces a new franchise to the fast-growing health and wellness industry. For more information, visit www.lavidamassage.com. For further information, call Amy Johnson at 801-798-0390 or email ajohnson@glymedplus.com. Spanish Fork, UT – November 3, 2010 – Christine Heathman, LMT, ME, Author, Industry Innovator, Educator, and CEO and Founder of GlyMed Plus®, today announced that Reverend Leesa Myers, Interfaith Minister and CEO of Inspiration Station, will join her on the “What Gets Under Your Skin?” talk radio show this week. The show broadcasts Live at Noon Mountain Time on Utah radio station KSTAR 1400 AM and replays daily at Noon on select Internet syndication sites available at www.christineheathman.com. According to Christine Heathman, on this week’s show she will introduce Reverend Leesa Myers, who is passionate about helping women in business reach their dreams in innovative ways. Listeners will also be the first to hear skin care ideas for younger looking, younger acting skin over the holidays, from GlyMed Plus. According to Reverend Leesa Myers, her vision involves helping people and organizations reach their own potential and dream through innovative ways which includes angel and tarot readings, intuitive counseling, and hypnosis all offered at the http://www.utahinspirationstation.com. As a thank you, to Christine’s KSTAR 1400 AM and Planetary Streams listeners, Leesa’s company the Inspiration Station is offering a free reading, go to www.christineheathman.com to find the link. Christine Heathman is the skin age management expert who has helped shaped American Skin Care to what it is known as today. Christine hosts “What Gets Under Your Skin?” Syndicated talk radio show and has appeared as a guest expert on The Doctors, at the 2010 Emmy Awards Luxury Celebrity Lounge and on The Balancing Act on the Lifetime TV Channel. Christine Heathman is the innovator behind GlyMed Plus Advanced Aesthetics and its skin care products, which are used in spas & medical clinics all over the world. To find a professional spa near you, please visit www.glymedplus.com. To find out more about Christine Heathman and her skin science message, please visit www.christineheathman.com. Spanish Fork, UT – October 20, 2010 – Christine Heathman, LMT, ME, Author, Industry Innovator, Educator, and CEO and Founder of GlyMed Plus®, today announced that Sue Chappell, expert real estate agent from Summit Realty will join her on the “What Gets Under Your Skin?” talk radio show this week. The show broadcasts Live at Noon Mountain Time on Utah radio station KSTAR 1400 AM and replays daily at Noon on select Internet syndication sites available at www.christineheathman.com. According to Christine Heathman, buying or selling a home can be a stressful situation, and she chose to introduce Sue Chappell to her listeners because Sue is passionate about her real estate career, and her ability to help families in the current real estate market. “If you’re wondering what is going on in real estate you will want to listen to my interview with Sue Chappell on ‘What Gets Under Your Skin?’ this week,” said Christine Heathman. “We are going to talk about how to accomplish your real estate goals, choose expert assistance, and decrease the stress that often comes with these kinds of transactions. Of course, we will talk skin science, so listen as I share expert advice on how to take care of your skin during stressful situations. According to Sue Chappell, who has sold over 500 homes, working with an experienced real estate expert in today’s unique economy can make the difference between success and disappointment. Sue Chappell is an award winning real estate expert who has sold over 500 homes in Utah since 1999. As a Short Sales Specialist, she is also educated in Ethics, Professional Conduct & Legal Aspects, Financing & Appraisal in Residential Real Estate and advanced technology classes. She works with a team of experienced associates who work hard to accomplish results. To learn more, please contact Sue Chappell at sue@seeutahhomes.com or call 801-225-7272 or 801-636-2552. Christine Heathman is the skin age management expert who has helped shaped American Skin Care to what it is known as today. Christine hosts “What Gets Under Your Skin?” Syndicated talk radio show and has appeared as a guest expert on The Doctors, at the 2010 Emmy Awards Luxury Celebrity Lounge and on The Balancing Act on the Lifetime TV Channel. Christine Heathman is the innovator behind GlyMed Plus Advanced Aesthetics and its skin care products, which are used in spas & medical clinics all over the world. GlyMed Plus professional skin care products were highlighted in the 2010 Emmy Awards Celebrity Lounge. To find a professional spa near you please visit www.glymedplus.com. To find out more about Christine Heathman and her skin science message, please visit www.christineheathman.com. Fabulous Talk Radio Host Line Up! Fabulous New Line Up of Talk Shows on Local KSTAR 1400 AM and Syndicate Internet Radio Network sites! 5 New Talk Radio Shows Offer Listeners Candid Solutions from age management, to business and health and wellness on Wednesday and Thursday Weekly! Diana Hoffman, Licensed Professional Counselor and Clinical Hypnotherapist and owner of Salem Counseling Center in Salem, hosts “Hypnotic Health” talk radio show from 11-12 p.m.
Christine Heathman, globally renowned skin age management expert and owner of GlyMed Plus headquartered in Spanish Fork for 17 years, hosts “What Gets Under Your Skin?” talk radio show from 12-1 p.m.
Glenda Christiaens, PhD, RN and President-elect of the American Holistic Nurses Association hosts at “Glenda the Good Nurse” talk radio show from 2-3 p.m.
Laura Jacobs, renowned natural health expert and owner of local Herbs for Health store in Pleasant Grove for over 15 years, hosts “A Healer in Every Home” talk radio show from 10-11 a.m.
Kim Power Stilson, eMedia strategist and author of the “Ten Buck Solution for 21st Century Success” hosts “Healthy! Wealthy! How?” talk radio show from 11-12 p.m. Listeners can join the discussion locally by tuning in every Wednesday and Thursday from 10-3 p.m. on KSTAR 1400 AM. All five talk show hosts offer replays of their Talk Shows originally live on KSTAR 1400 daily for easy-access listening on the following Internet syndicate stations. International Esthetics Cosmetics and Spa Conference on April 24-26th in Las Vegas. Christine Heathman, LMT, ME, Author, Industry Innovator, Educator, a nominated legend in American Aesthetics and CEO and Founder of GlyMed Plus Institute of Skin Science™, today announced the GlyMed Plus educator and spokesperson Monica Villar will be teaching the “Update Your Treatments with Ultrasonic Facials” at the Advanced Education Workshops at the International Esthetics Cosmetics and Spa Conference in Las Vegas on April 26th. Please visit the GlyMed Plus at Booth #1723. The Advanced Education Workshop taught by GlyMed Plus’ Monica Villar, “Update Your Treatments with Ultrasonic Facials” will share how Ultrasonic skin care is replacing the risk of microdermabrasion, Galvanic, painful manual extraction, Laser, LED, deep peeling and more in today’s progressive medical clinics, spas and salons as the safe answer to Rosacea, Acne, anti-aging, and pigmentation solutions. Proven science has substantiated this simple yet effective procedure using a non-invasive combination of cavitation, sonophoresis and microcurrent in one uncomplicated treatment. Please stop in to see us at the International Esthetics Cosmetics and Spa Conference April 24-26th in Las Vegas in GlyMed Plus’ Booth #1723. For a full brochure on the products and for more information please visit http://www.glymedplus.com. GlyMed Plus Institute of Skin Science, headquartered in Spanish Fork, Utah offers exclusive product and information resources for estheticians, physicians and spa professionals seeking a smart, scientific approach to regenerating the skin of their patients and clients. GlyMed’s approach is refreshing: pure science, real information, and not overblown with the promises. GlyMed Plus® offers multi-faceted professional-only skin care systems with a complete range of natural and medically effective progressive formulas in over 98 products. The GlyMed Plus Institute of Skin Science™, unsurpassed in the most advanced esthetic courses for Skin of Color, Acne, Peeling, Advanced Peeling, Pigmentation, Menopausal Skin, Rosacea, Corrective Makeup, and Ultrasound Skin Care. For a full brochure on the products and for more information please visit www.glymedplus.com. For eMedia questions, please contact: Kim Power Stilson, Power Strategies Agency at kstilson@glymedplus.com or 801-358-3649. Christine Heathman, LMT, ME, Author, Industry Innovator, Educator, and CEO and Founder of GlyMed Plus Institute of Skin Science says that her “Lip Science” part of GlyMed Plus Cell Science Injecta-ceutical line diminishes fine lines and instantly restores moisture to support a youthful vermillion to the lip border. Cell Science Lip Science is a highly effective, non-surgical lip product containing Acetyl Hexapeptide-3. This age-defying peptide promotes fuller, smoother lips by reducing the depth of wrinkles around the lip area caused by the contraction of muscles through facial expressions. Additionally, this extraordinary product is packed with moisturizing shea and cocoa butters, vitamin E, grape seed oil and bioflavonoid antioxidants to promote skin rejuvenation. GlyMed Plus Institute of Skin Science offers exclusive product and information resources for estheticians, physicians and spa professionals seeking a smart, scientific approach to regenerating the skin of their patients and clients. GlyMed Plus® offers multi-faceted professional-only skin care systems with a complete range of natural and medically effective progressive formulas in over 98 products. The GlyMed Plus Institute of Skin Science™, unsurpassed in the most advanced esthetic courses for Skin of Color, Acne, Peeling, Advanced Peeling, Pigmentation, Menopausal Skin, Rosacea, Corrective Makeup, and Ultrasound Skin Care. For Media questions, please contact: Kim Power Stilson, kstilson@glymedplus.com. Photo-Age Environmental Protection Gels Age Management expert, Christine Heathman and GlyMed Plus Institute of Skin Science. Christine Heathman Founder of GlyMed Plus Institute of Skin Science™ today announced the official launch of this summer’s essential products — Photo-Age Environmental Protection Gels in SPF 15 and SPF 30. According to Christine Heathman, LMT, ME, Author, Industry Innovator, Educator, and CEO and Founder of GlyMed Plus Institute of Skin Science™, people need to shield their skin from damaging UV rays this Summer by protecting and moisturizing your skin with an ultra light, non-oily UVA/UVB full spectrum protective formula. Christine Heathman, a well-recognized 30-year skin care industry and age management expert says, that GlyMed Plus’s Photo-Age Environmental Protection is a light bio-blended formula safe for all skin types that contains the antioxidant and immune boosting power of green tea and echinacea extracts. “Prevent environmental aging assaults by using the GlyMed Plus Photo-Age Environmental Protection Gel which provides proven UVA/UVB full spectrum protection in a formula that blends perfectly with any makeup, skin care or after shave product,” said Christine Heathman. GlyMed Plus Institute of Skin Science founder, Christine Heathman, agrees that nothing stops skin from ageing but insists you can manage ageing by giving your skin cells the advantage with Photo-Age Protection Gels, just two of the many products that she has developed during her over 25 years in business. Photo-Age Environmental Protection Gel SPF 15 and Photo-Age Environmental Protection Gel SPF 30 are both available to approved spa owners in a 4.0 oz product size. For a full brochure on the products and for more information please visit http://www.glymedplus.com. Age Management expert, Christine Heathman Shares Rare Apple Skin Repair Technology in her new Cell Science® Stem Cell Power Serum Products by GlyMed Plus Institute of Skin Science. Rancho Mirage, CA — January 28, 2010 – Christine Heathman, LMT, ME, Author, Industry Innovator, Educator, and CEO and Founder of GlyMed Plus Institute of Skin Science™, today announced the launch of her Cell Science® Stem Cell Power Serum which gives skin the long-term ability to protect the longevity of cells, combat chronological aging, and gives cells the ability to act younger. Christine Heathman, a well-recognized 30-year skin care industry, and age management expert says that her new Cell Science® Stem Cell Power Serum features PhytoCellTec™ Malus Domestica Fruit Cell Culture. Malus Domestica is a revolutionary phyto-technology that helps protect skin stem cells based on the science of botanical wound healing and uses the tissue culture of the rare Swiss Uttwiler Spatlauber apple to help the plant build fresh tissue post-injury. According to Christine Heathman she says the concept is as simple as comparing apples to apples by putting a regular apple on the counter with the rare Uttwiler Spatlauber apple. A regular apple will decay but the rare apple will last months longer. Simply said, if you compare a plant cell with a human skin cell you will find that they are almost identical. Christine says that this means the ingredient in the rare apple has been proven to aid cell level repair in plants and in humans. The GlyMed Plus Institute of Skin Science founder agrees that nothing stops ageing but insists you can manage aging by giving your skin cells the advantage of preservation and massive research shows that the use of the Stem Cell botanical gives you younger acting cells and leads to healthier cells reproduction in your body. GlyMed Plus Institute of Skin Science, headquartered in Spanish Fork, Utah offers exclusive product and information resources for estheticians, physicians and spa professionals seeking a smart, scientific approach to regenerating the skin of their patients and clients. GlyMed’s approach is refreshing: pure science, real information, and not overblown with the promises. GlyMed Plus® offers multi-faceted professional-only skin care systems with a complete range of natural and medically effective progressive formulas in over 98 products. The GlyMed Plus Institute of Skin Science™, unsurpassed in the most advanced esthetic courses for Skin of Color, Acne, Peeling, Advanced Peeling, Pigmentation, Menopausal Skin, Rosacea, Corrective Makeup, and Ultrasound Skin Care. For more information please visit: http://www.glymedplus.com. For eMedia questions, please contact: Kim Power Stilson, Power Strategies Agency at kim@powerstrategies.TV or 801-615-0035. Loving the Audeo Academy for Entrepreneurs! The Decadence of the Hollywood Hat by Kim Power Stilson! I like Steve Shenk’s new book It’s Not Your Fault! Just saying . . .